MONTGOMERY, Ala. (AP) — Alabama Gov. 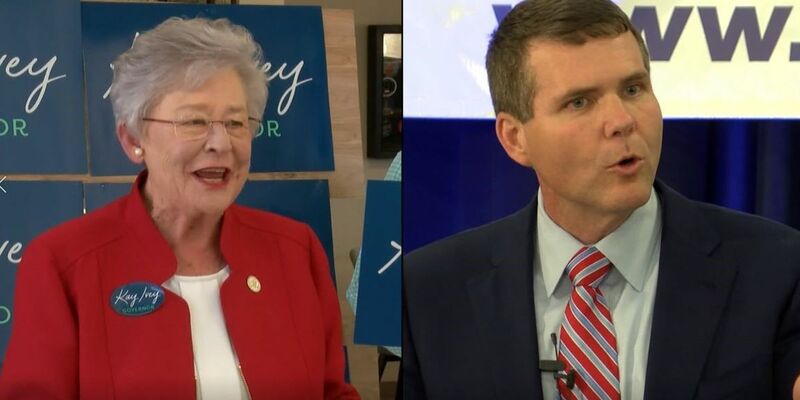 Kay Ivey has extended her fundraising lead in the race for governor. According to campaign finance reports filed Tuesday, Ivey reported raising more than $735,000 last month. Challenger Walt Maddox reported raising $373,000. Ivey's largest September contributors were businesses and influential political entities, including $25,000 each from the Alabama Farmers Federation, Drummond Coal, Blue Cross and six other companies and PACs. Maddox largest contributors were $150,000 from PACs run by Tuscaloosa accountant Mike Echols and $15,000 from Greenetrack dog track and bingo hall. Ivey has raised $6.1 million for her campaign, although part of that was spent during the GOP primary. Maddox has raised $2 million. With her financial advantage Ivey started a new campaign ad this week. Both candidates have about $500,000 remaining.